If you thought summer would slow Facebook from making major updates to its platform, you were wrong. 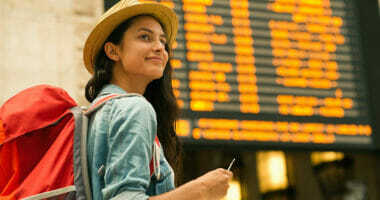 The social network just unveiled a host of changes intended to make it easier for its users to connect with local businesses. Included in the release is a redesigned look for mobile Pages, additional Events functionality, an expanded job application tool for firms, and a stand-alone Local experience. The most impactful element on local businesses may be the new Recommendations feature, which is a combination of existing and new functionality. What exactly is Recommendations? How does it work and what effect will it have on local/multi-location businesses? 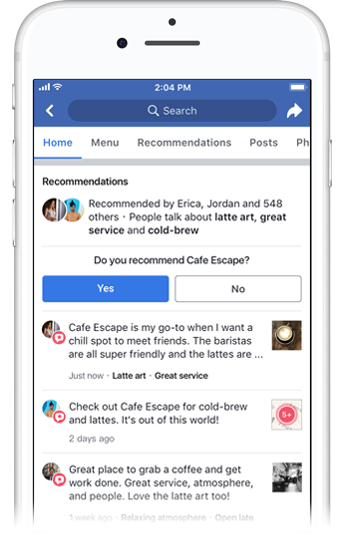 Essentially, Recommendations is replacing the existing ways that Facebook users leave feedback about local firms. Whereas in the past people would engage via ratings and reviews on a business’s Page, now they’ll have a unified experience: Recommendations. The changes are not superficial — everything from the underlying way the feature works to the user experience has been completely redesigned. 2. What’s Different About Recommendations? The biggest change is that instead leaving a star rating on a one-to-five scale, users are now prompted to simply answer yes or no as to whether they would recommend a business. Once an option is selected, users are asked to provide additional details with tags, text, and photos. There is essentially a new single experience in which ratings are replaced by the yes/no option and reviews are left through a more structured, guided process. 3. Will Feedback Now Become Less Rich? At first glance, the elimination of star ratings and the simplified structure would seem to indicate that feedback on local businesses will be less detailed with Recommendations. However, the opposite is true. The new interface is intended to inspire users to provide more information, not less. Through the tags and prompts, Facebook is hoping to get richer, more structured data about each business from its users. Moreover, there is now a character threshold you have to meet to post a review (similar to Yelp). This should result in lengthier, more comprehensive feedback from individuals. 4. Will All My Previous Ratings Go Away? Going forward, the rating associated with a business will be a mixture of past star reviews and new yes/no recommendations. 5. Why Did Facebook Make This Change? Rich endorsements: The social network wants the information it collects from users on businesses to be more in-depth and useful. The idea is that the yes/no structure will make rating simpler, the tags will allow themes to emerge on what a firm is known for, and the minimum character requirements will make reviews more in-depth. 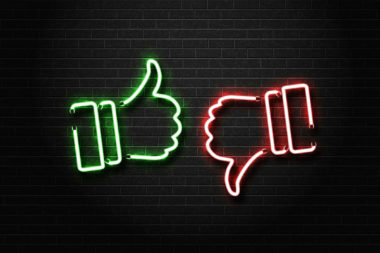 Authentic recommendations: Combating rating and review fraud is a major focus area for Facebook. Fundamentally, the company needs feedback to be authentic in order for it to be useful to users. The character requirements for the review field should help with this since it’s harder for bots to game. Also, as part of Recommendations, Facebook made it easier to report content that appears to be fraudulent. 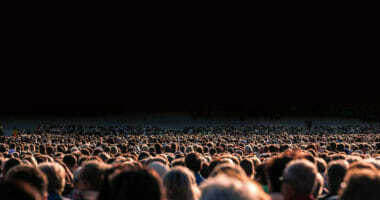 Reach people as they’re making decisions: The platform doesn’t want Recommendations to be confined to a business’s Page. 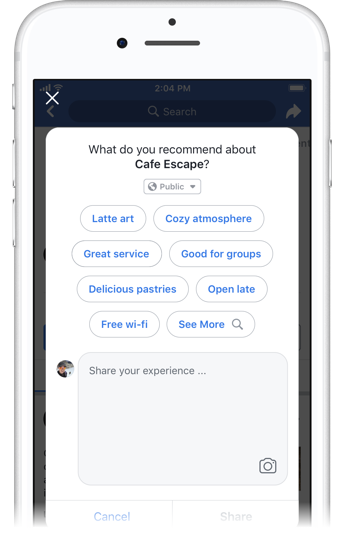 The idea is that they’ll be “discoverable across Facebook when people are searching for, or talking about a business.” In other words, Recommendations should make high-quality businesses more discoverable both on and off the service. Ultimately, all of this is good news for marketers. Recommendations should make Pages more engaging, spam less prevalent, and reviews more accessible. And keep in mind that this is just the beginning. 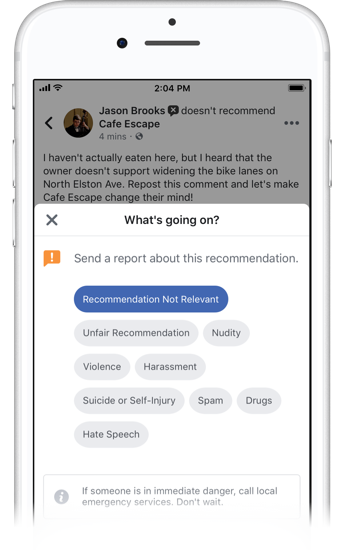 Keep a close watch on Facebook’s Recommendations information page for updates on how the product is evolving and improving. Learn more about Facebook’s latest feature. Contact MDG Advertising today at 561-338-7797 or visit mdgadvertising.com. MDG Advertising, a full-service advertising agency with offices in Boca Raton and New York, NY, is one of Florida’s top branding firms. MDG’s capabilities include print advertising, direct mail marketing, branding, logo design, creative, media buying and planning, radio and TV advertising, outdoor, newspaper, digital marketing, website design and development, online video advertising, infographic development, email marketing, video marketing, mobile marketing, content marketing, social media marketing, paid search marketing, and SEO. To discover the latest trends in advertising and branding, contact MDG Advertising today at 561-338-7797 or visit mdgadvertising.com.